OK, it's not a cartwheel but hey, finding your stuff when you need it is...rewarding!!! Or, maybe not rewarding, but less time consuming. How about this little trick. Go buy some inexpensive containers from wally world or target. If you are like me, you won't get out of there without spending about $100 on other stuff, but I digress. Buy 6 matching ones, clear boxes!!!! 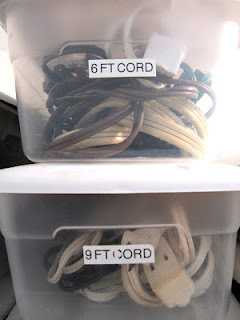 Shoebox size. 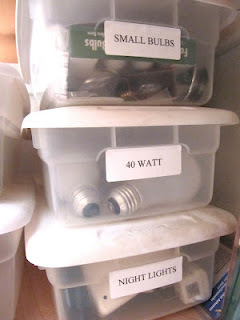 There are countless items in your home you can organize with them!!!! 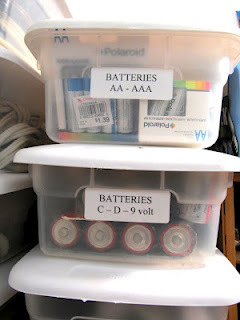 Who doesn't have 10,000 batteries around the house? People without kids, I guess. We always have and need batteries.